We are dedicated to reiki as such. 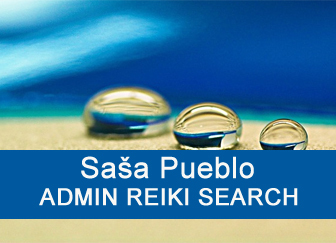 Firstly chakra points on the human body, which are well known are the basis for reiki. We have to penetrate psychically into these chakra points, purify them and open them. Chakra points are basically points on the skin, in the first layer of the skin. These chakra points are unique entrances into the nervous system. We split nervous system to nervous sytem from the age of 20., 15., 10., and 5. years of age and then nervous system from 9 months of embryonic development. Each month represents one stage of nervous development. In each period is more and more neurons and neural pathways and eventually in the age of 20 years any person has 100 miliard neurons and 10 000 trilions synapses. Synapses are actually some places of neurons interruption and neurons are there connected by bioenergy and chemicals. Reiki system starts in Indian chakras and continues into reiki of Japanese Mikao Usui. 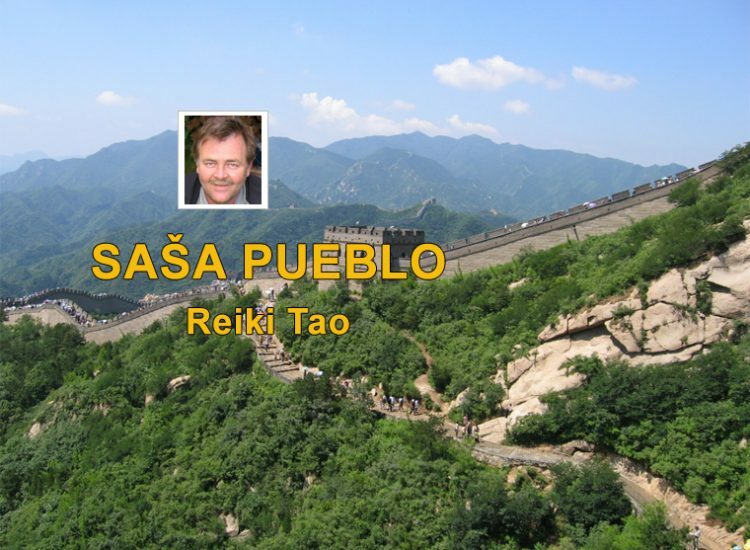 Then tao reiki is added to this reiki system and specific chakra for tao is in the mouth. Tao is about growth rings and the specific type of mandala and cult of tree. 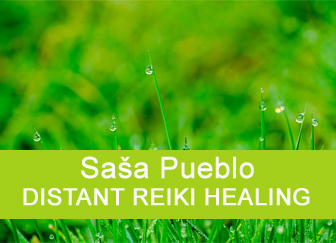 Tao reiki activates nervous system on cells level and organelles in cells so this reiki goes deeper as classical reiki, Indian reiki, Japanese Reiki and Tibetan Reiki. We should realise that our body blocks embryonic neurons and neural structures. Due to longevity we have to keep embryonic structures open and clean. We don´t have to allow our body to block them and keep them activated as occurs in the case of long-lived people. Basically I want to delve into tao systems which are typical for Chinese esotericism. If you want to go deeper, then it will be a little more demanding format. 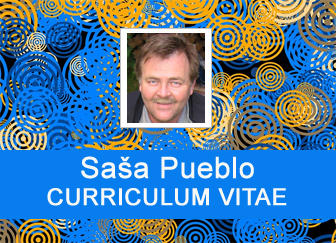 I will try to guide you and advise you to avoid setbacks in this area. First thing is to watch so many videos about China as it is possible. Forbidden city, rituals with the tree trunk. Chinese esotericism retains the old shamanic traditions and doesn´t deviate from them. Although consumerist lifestyle in rituals replaced blood by colors and tao rituals did not have so brutal and bloody character as in the past. Simple blood rituals and the rhythmic trance associated with them also gradually disappeared. Everything revolves around the tao tree and its worship and practical use. Some individuals who have in their cells exorbitant amounts of chromosomes and genes are predestined for the tao system. And it is a pathological phenomenon which clearly goes to the cult of the wooden totem, wooden sculptures and also the shape of growth rings. Here we consider growth rings as the mandala, which penetrates to chakras. Tao enriches chakras on the front of the body and adds the same chakras on the back and on the head from behind. Likewise adds chakra on each vertebra in the spine and also adds chakra of the mouth and the navel chakra. Chakra of mouth goes into neurons and nerves of the embryonic origin. Navel chakra is going into embryonic digestive neurons and nerve cells. And it goes further to the level of chromosomes, genes and microtubules. Chakras of spine and vertebrae (this resembles to shambaole) are associated with the totem of the tree. I illustrated the possibilities and procedures. Also, tao can be applied to all chakras in the body. Chakras are here inputs into embryonic nervous and neural system. The magic is in the fact that in this embryonic environment can be stored objects, which are charged from pulsations of uterus. The unique tradition of shamanic period. Esotericist worships ritual every tree and every kind of annual rings these trees. Meditation person physically goes to trees and hugs trees, meditates under them, learns to hear how the sap flows in the tree and also the life in trees itself. He learns to share the power with the tree as a living object, which is silent but essentially plants and trees can respond to human presence. Meditation person seeks inside yourself the status when we were plants and when we lived as plants in the embryonic period. On trees are important their growth rings. The tree is the mandala created by the nature. We talk here about natural mandalas which are not created by the human but by the nature itself. Growth rings are unique mandalas, which open inside of embryonic neurons (they are organelles, cell cores, proteins, amino acids and elements). It is good if you are interested about trees during your life. You should like nature, the forest or you worked with the wood, you carved something from the wood, you planted trees and you know how to grow young seedlings. You did from the tree your own totem. You planted the whole mountain. You are treated with the part of tree as buds, leaves, bark and other parts. You build your emotional relationship, but also intellectual. And it is good to develop a magical way of acting as a ritual around the tree and the wood itself. You make own collection of growth rings and then you meditate on their healing power. Simply you pay attention to this for years within the rest and relaxation. Growth ring as mandala. Growth rings on a tree stump as a method of penetration into chakras in the oral cavity. Growth ring is a mandala, which is built by some trees hundreds of years. For each tree is different and it works little differently.What are chakras in India, those are growth rings in tao system. What are mandalas in Tibet, those are growth rings in tao system. Even someone tried to play growth rings as vinyl siding with music. The tree itself must be understood and contemplated as stacked rings in the form of a three-dimensional object. In Tibet some monasteries are often built as spatial mandalas and some temples in India are built in the spirit of chakras deities who came from Mount Kailas in the form of stones across the river Ganga. From these children of mountain Kailas was built a temple which affects chakras the human body. Almost 20 years I have built a deep relationship with the world of trees through the healing power of trees. This is also deep meditation through the treatment and healing by the power of trees. The tree is potentially full of life and is able to pass this strength to the sick man and transfer to him health and the amount of life energy. If you want to practice tree rings reiki such detailed practice with the world of trees is welcome. Try to look down what treatment options gives the world of trees and tree rings. Meridians are unique entries inside neurons and nerves which arose during 9 months of embryo development and fetal development during pregnancy. And in this case meridians go to all organs in the body and everything starts by entering fingers and toes in places, where is about 20 mini chakras. These inputs go into embryonic structures and inside them directly into chromosomes and genes. And this is great because Indian chakras are inputs through the skin surface into embryonic neurons, which older people also have. Mandalas of Tibet are about how effectively block the attempt of the body to close embryonic neurons from the pregnancy. Meridians are input chakras into a depth of embryonic cells which we have inside. Each tree casts its shadow. Each totem also casts its shadow. And it forms an entity which is indivisible. Embryonic forces are naturally complemented by the force of aging and death. Opposites are attracted. Opposites exchange their positions and what was black can be white tomorrow and vice versa. That is somehow understood as yin and yang. For our purposes, yin and yang is simplified form of growth rings where we paint thin growth rings of a tree to black and thicker growth rings remain white. In the first place yin and yang has to open and clean embryonic neurons in each adult person. These neurons persist into adulthood, but the body often block them and keep them shut. Through the meditation and the treatment with growth rings and with the symbolism of black and white growth rings we will open blocked embryonic neurons, which we have quite enough in the body. We will enhance the activity of these embryonic neurons and we will attack cells that want rapid aging. People who are aging rapidly have embryonic cells completely blocked. But surprisingly 100 years old people still have them active on 30%. Rotating sign yin and yang for tao. This sign may also grow in the nature, when you bind two small trees, which gradually twirled around each other and create this character. It’s an artificial human intervention, or it can be found in nature as random, but rare element. Based on this natural uniqueness you can create some geometry of circles and letters that fit together, for example letter S. Beware of tao signs and Chinese signs at all. They should be understood as the registration of movement than drawing circles and geometric structures. This motion started somewhere, then had a certain routing and then either ends or continues monotonously. This character is tied to certain chakra of the body and also the special chakra like lips. Around this character is often drawn different formations of iting and this is understood as short and long sticks. Something like growth rings and twigs around this. And we are still moving in the worship of the tree and its healing power towards embryonic cells. Even the tree is a living being as a person, and also belongs to the nature as a human and animals. The tree is not dead piece of wood. It is a living organism that is born from seed or is born vegetatively directly through stretching roots. Or tree branches rooting in the ground. Embryonic structures even in an adult should be activated by reiki at the level of chromosomes and genes. Tao leaders are individuals who have in their cells uniqueness and extreme amounts of chromosomes and embryonic cells. 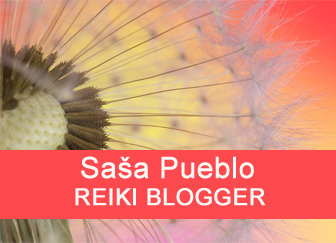 And so reiki is here welcome. Bioenergy in the human body is formed inside cells and these small power plants are called mitochondria. They convert chemical energy into low current as in the case of a small flashlight. Man and his every living cell has its low-energy voltage. And such a principle have each living organism and also cells of the tree. In these mitochondrias is generated energy with the help of metal elements such as iron, copper and other. Below this energy can be understood also magmatic forces of planet Earth, but also natural magnetic forces of magnetite. In cosmos flows amount of energy which flows in streams of particles. Finally, bio-energy is flowing electrons. 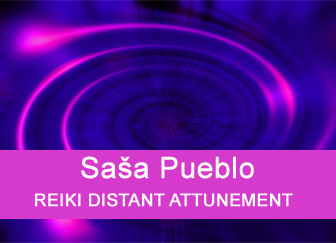 Total energy potential can be seen extrasensory around the body and it is called an aura. What everything supports nerves and neural areas in the human body positively? Find what allow you to open locked neurons in the human body. Find all contexts that could activate embryonic neurons and give the body next parameter of longevity. Learn all about the human body as about a map of life and a map of different diseases states. You can find here different webs about tao and you may also find here something interesting for you, especially different drawings and characters. Signs in reiki and tao reiki are pictograms of certain direction with a given direction of movement. Each tao master at the end of treatment did his own sign which he either painted, or he did it with sword in the movement. Exercises themselves are rather tao movement as a sign. Tao sign could be created in own imaginations. Try to change in the imagination a piece of wood to the sign. Form it in your head. Realise how this imagination changes to different object. Imagine which motion you have done at this change. If someone wants to go deeper into tao system, than he has to read and learn about shamanic traditions. These traditions are kept in China and moved to folk traditions and ceremonies especially around trees and trance-inducing rituals. It is about the induction of sustained feeling of rhythmic movement. A common manifestation of this movement is an expression of a character. In tao system drawn character is not a font but something special in the moment. It is drawn movement in the body of the specific person. You can find here overview of chinesse gardens, which are different from japanesse gardens. Chinese tao gardens replicate the human body and the uniqueness of each of us. Japanese gardens are something rather special and perfect as a cosmos itself. Chinese gardens are full of embryonic systems and they are good for meditation which is related to embryos and overall meaning of life. This is particularly the area of ​​embryonic cells that arose in the human body during the 9 months of pregnancy. We can talk about monthly increments of embryonic neurons, nerves and neural networks. They remain in the body up to the old age. The problem is that the body itself has negative impact on these systems and locks them with the age. We try to unblock these areas with meditations and therapies. It has beneficial effects for vital longevity. Special objects in all cells of the body and particularly in the nervous and neuronal cells. These are objects discovered by the quantized biology. This discovery is quite new and therefore these objects in cells are not known to ordinary people. There is a vital interest for us to mobilize and revitalize these objects in embryonic neurons. Again, here is interest in neurons and nervous system and neural networks from 9 months of embryonic development and efforts to penetrate into these structures throughout the body. We have to force our body not to block nerve and neuronal cells and maintain them in an active form. This positively affects the health and general vitality. Embryonic neural structures which were formed during 9 months in pregnancy and we force the body not to close these neurons, but permanently hold them in performance and activity. This significantly affects the health and active longevity. Therefore the interest about proteins in cell structures of neurons and neural pathways. This is a process where the tree turns into stone, but its structure remains. Petrified tree can be cut into rolls, which form a mandala as a base for motion meditation through muscle plates and straight to the brain and from there to the cells of the body. This is particularly cells from the embryonic period, which lasts about 9 months. Meditation person heals neural structures from this period, because the organism blocks them but they have good effect on health and longevity. Everything around trees and everything around deep natural respect for the tree. In this case, the tree changes without air to the coal. It is also possible create a mandala from pieces of the stone coal, which was previously a tree. With this mandala we then meditate so as if you would do movement with it in your muscles. It is a micro-movement in muscles and not large movement of the arms and whole body. You can use sign language as if you wanted to talk to someone about this mandala from black coal. The story of the tree, which has undergone such changes. Chakra meditation goes through the mouth – lips into the digestive system and from there to the cells, nuclei, chromosomes and genes.